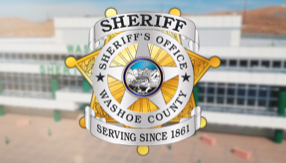 The Washoe County Sheriff's Office is investigating the second apparent suicide by a detention facility inmate in 24 hours. At approximately 8:30 p.m. on Friday, April 12, 2019, detention facility deputies were notified of a possible medical emergency inside one of the cells. When deputies arrived at the cell they located a non-responsive adult male inmate on the floor. Deputies immediately began life-saving measures until medical staff arrived. REMSA and the Reno Fire Department were also notified and responded. The inmate was pronounced deceased by medical staff at 8:56 p.m. The Washoe County Regional Medical Examiner’s Office will conduct the formal death investigation.